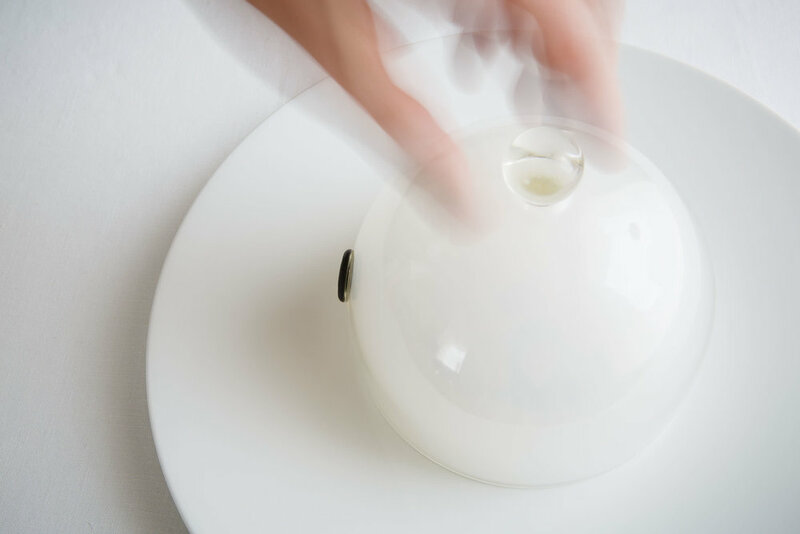 El Portal del Echaurren, Ezcaray’s two-Michelin starred restaurant, has opened its doors with a new menu after the winter break. This year the dishes are designed not just around local products but also the history, sociology and even geology of this corner of La Rioja. Take, for example, the “marine fossil” dish above. During the Cretaceous period, the land where Ezcaray is sited today was under the sea. You can find fossilised gastropods (snails etc) in the surrounding mountains. 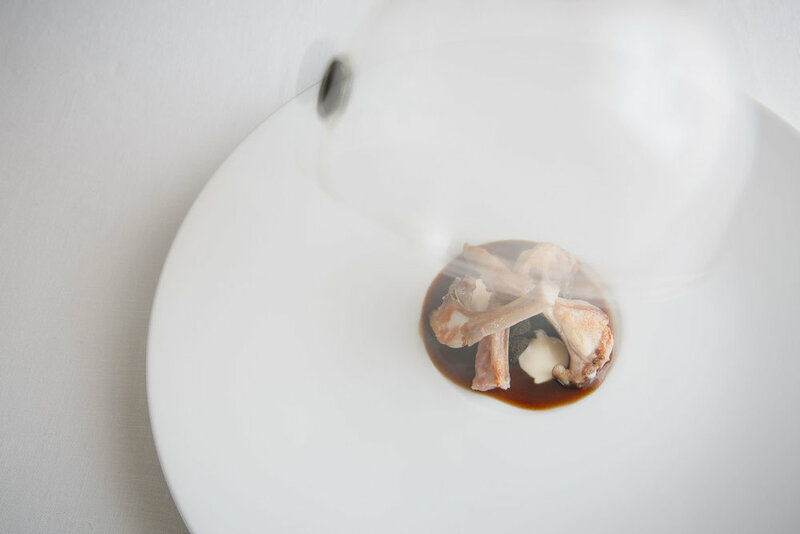 Chef Francis Paniego has incorporated barnacles, cockles, scallops into the dish and also “edible fossils” made from seaweed and seafood broths. 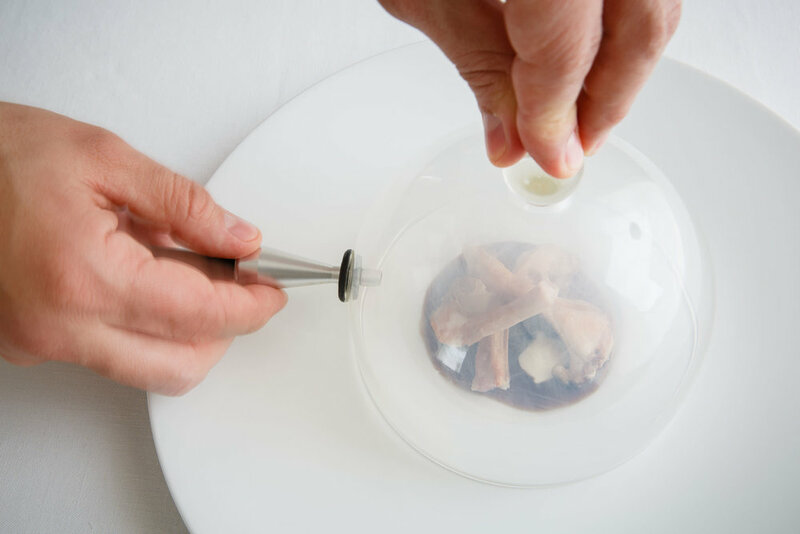 Other dishes on the menu include “The River Fish that Dreamed of the Sea” - based on the trout that migrate along the River Oja - and “The Wool”, lamb sweetbread wrapped in candy-floss in a nod to the area’s traditional textile industry.